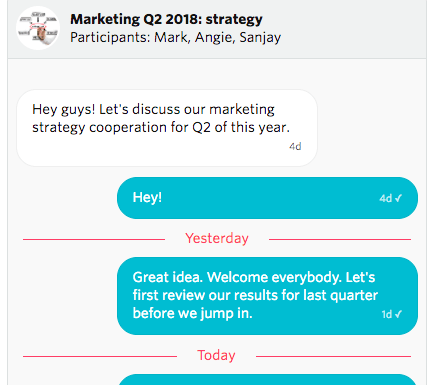 Power-up your user experience with great messaging features. 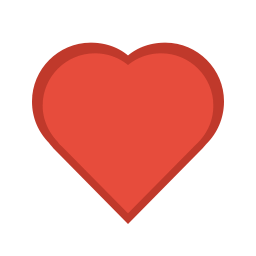 TalkJS has everything you need in a chat app, out of the box. 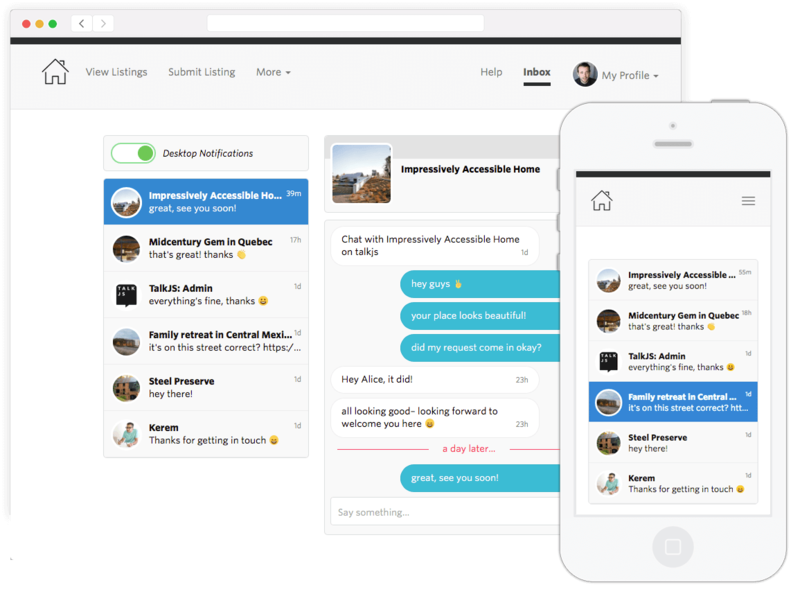 TalkJS turns your platform into a real-time messaging app, much like WhatsApp or Facebook Messenger. 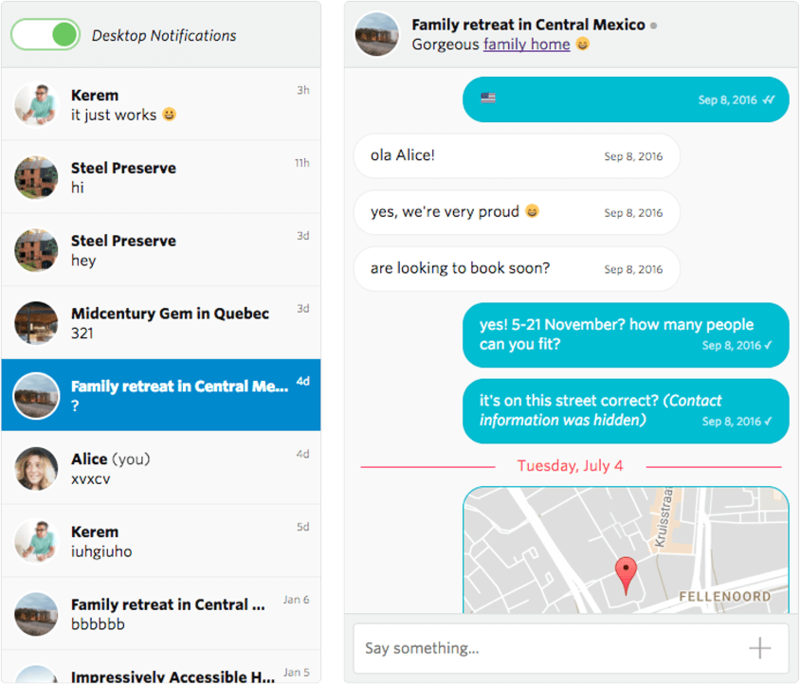 Complete with features you need like file transfer, location sharing, emoji, and more. Desktop notifications and mobile push notifications let users respond quickly while doing other things. Always keep your users in the loop. 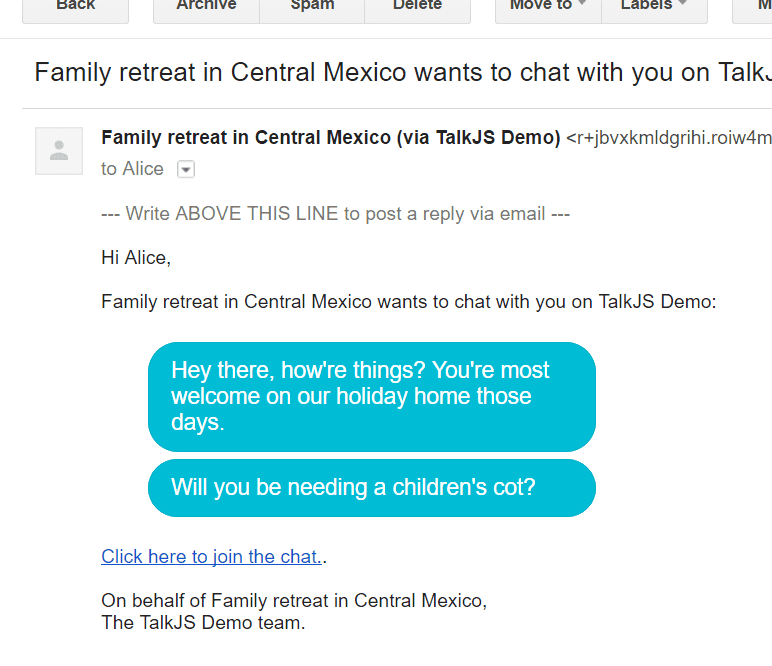 If a user is sent a message while offline, TalkJS sends an email or SMS (or both, depending on your configuration). Our battle-tested infrastructure ensures direct and speedy delivery. Users can reply to the mail directly or jump back in to your platform - either way, their response will safely reach its destination. Of course, you can fully customize the email and SMS message body. Let your users get back to a conversation whenever they want. TalkJS stores all messages safely and securely so you don't have to. 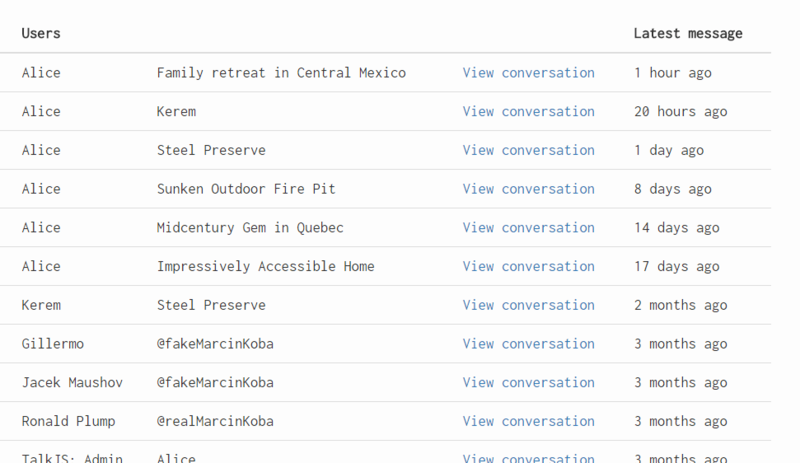 The TalkJS Inbox View shows your users a history of all conversations and lets them respond in any of them, all inside a familiar and well-designed interface. Stay in full control over who can talk to who, with just a few lines of code. Years of sweat and tears went into making the TalkJS messaging UI fast, fun, and easy to use. Fully responsive, TalkJS works great on nearly all mobile phones and computers. We frequently test TalkJS on the last 2 desktop and mobile versions of Chrome, Safari, Firefox, Edge and Opera, as well as Internet Explorer 9 and up. TalkJS has built-in localization features that allow you to display the text (e.g. 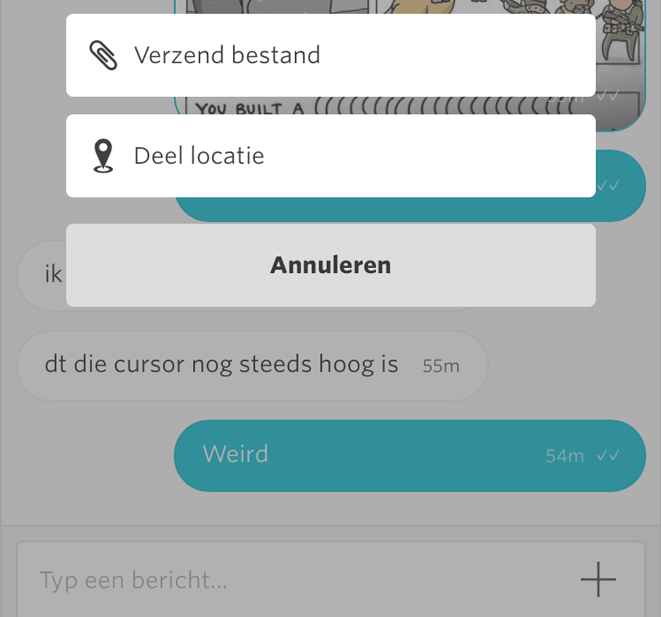 "Send") of the interfaces to the user in their own language. There are two ways to set the language in TalkJS. You can change the default language in the Dashboard for all of your platform's users. If you need to support multiple languages for different, you can set a language per User Configuration. 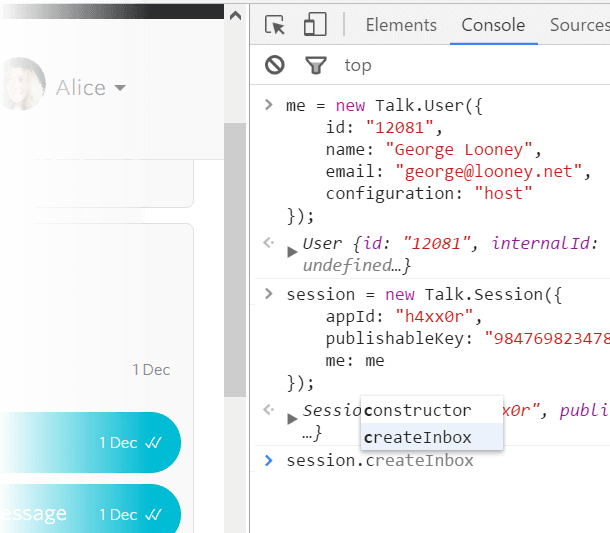 Besides a private one-on-one chat between two users on your platform, you can also use TalkJS to initiate a conversation around a certain topic. For example, you can automatically invite two users into a chat after a transaction took place. Or create channels, or chat rooms with different names and multiple people in it. Pick one of our expertly designed TalkJS Themes and customize it to perfectly fit your brand. 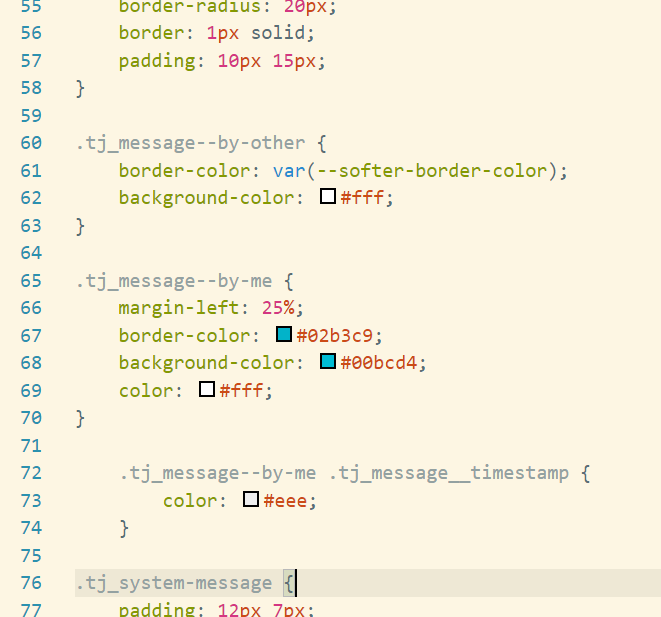 A theme is simply a CSS file that gives you control over the most important parts of the interface. 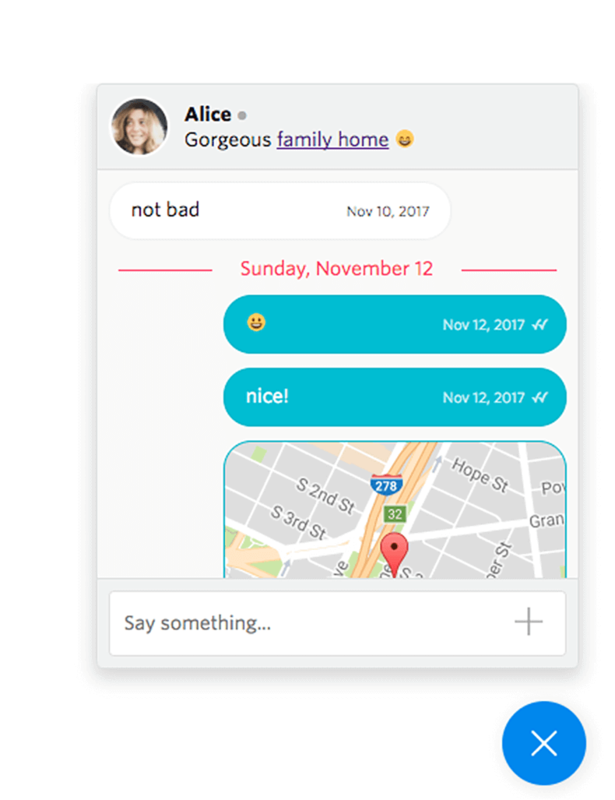 Stay in control of the look and feel but leave the heavy lifting of building a real-time messenger to TalkJS. Our REST API allows you to manage your users, conversations and messages. Webhooks notify your backend of events happening: e.g. new messages and new conversations, and many more. Check out the Webhook docs. See who talks to who and monitor their messages1) in the TalkJS Dashboard. This lets you stay in full control of communication so you can jump in when necessary. 1) Reading message content older than 14 days is only available on our Standard plan and Enterprise plan. Show a "you have new messages!" badge in your header with just a few lines of code. 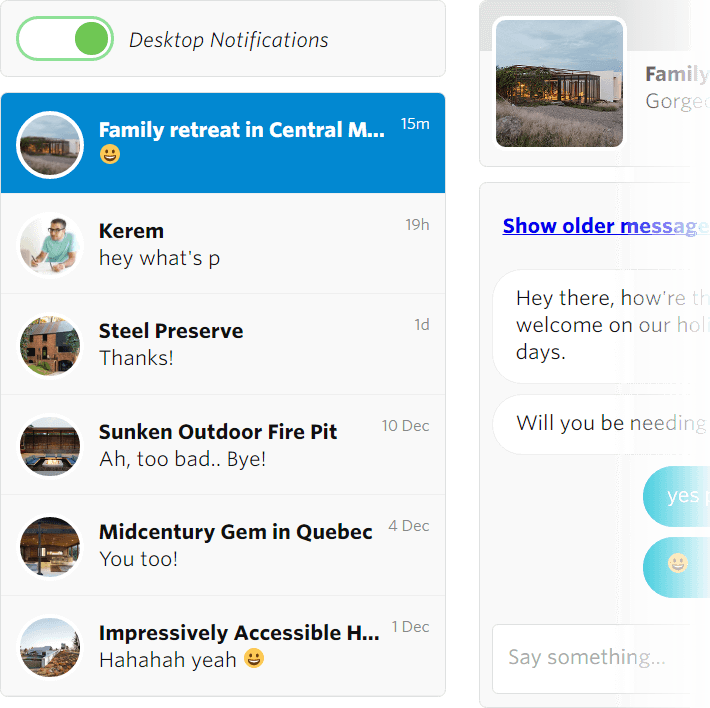 Desktop notifications on new messages keep your users engaged even when they're not looking. TalkJS also ships with a pop-up widget, perfect for ecommerce sites. Let your users know that a message has been delivered to our servers or read by the recipient. Prevent users from exchanging email addresses, phone numbers and website addresses. Configure exceptions in detail.